For the first time in 24 years, the UBC Writing Centre tutoring services will potentially be shutting down. 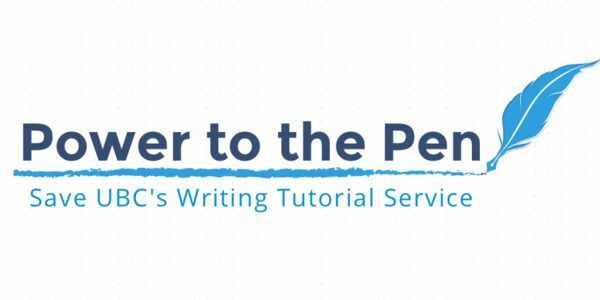 Since its inception, the UBC Writing Centre has strived to help all enrolled students-undergraduates and graduates alike- to improve their writing skills and their ability to express and develop their ideas as a free tutoring service. Writing well is a key skill for success at academic, professional, and social levels, and the Writing Centre has always been proud to provide this service. However, all this is set to change, now that the Writing Centre is currently facing financial problems. If this issue is not resolved within the next few months, its tutoring services will cease to exist. This is a cause for concern because even though other faculties offer specialized writing services, this is the only one which encompasses the entire spectrum of UBC’s student body. This is a campus of 50,000 full-time and part-time students, some of whom are unfamiliar or need assistance with the rigors of university writing. The Writing Centre has been able to help many concerned or struggling students over the years with a variety of issues ranging from cover letters and resumes to Master’s theses and laboratory reports with a staff of tutors from various academic disciplines. In addition, approximately 10,000 of UBC’s students are international, many of whom do not speak English as their first language and struggle with language tests such as the LPI and TOEFL. The Writing Centre has been able to offer support to them over the years, and with UBC planning to aggressively enroll more overseas students, they will need support from the writing centre more than ever. Additionally, UBC is almost doubling international tuition over the next 3 years, and the Writing Centre is the only free writing tutoring service at UBC that is not department-specific. Without the Writing Centre’s free tutoring services, the university’s reputation for academic excellence and educational accessibility will no longer be secure-and that is why we, as concerned students and Writing Centre tutors, have put forth this petition as a call for action. We need to save the Writing Centre's tutoring services. The University of British Columbia is the largest Canadian university on the West Coast, and it will soon lack the resources to offer support for student writing. This is a much-needed service that is available at other British Columbia post-secondary institutions, regardless of their size. Although the Okanagan campus will retain its writing support, students at the Vancouver campus will need to look for other options. When the Writing Centre eventually changes its services this April, UBC will miss the impact of a vital service. Petition to keep the Writing Centre's tutoring services open-without it UBC can no longer be a place of mind. We the undersigned are concerned members of the UBC community and larger academic collective who urge the Office of Vice President, Students and UBC to secure funding to prevent our writing tutoring services from shutting down. At the moment we are meeting with university executives to ensure that the service will adequately meet the needs of students for this coming September. Cheers! As we approach the 1500 mark we continue to thank you from the bottom of our hearts for the support you have shown. We will be officially presenting this petition to the VP in a week from now. In addition, a former tutor at the Writing Centre has published an Op-ed about the closing of the writing centre's tutorial services. That can be found at the link below. We’re thankful for all the support we've received thus far. As an update, we’re pursuing action via discussion with select UBC representatives on moving forward with our goal. A recently published article has drawn further awareness to our cause: http://ubyssey.ca/news/ubc-writing-centre-to-shut-down-tutorial-services/. In addition to this piece, another will be published soon (we’ll attach a link when available). To get in touch, please contact us at: ubcwritingcentre@gmail.com. Thank you! On behalf of all concerned students, writing tutors, and members of the UBC community we would like to thank you for your encouraging support and comments. We are hopeful that by presenting this petition to someone who can voice the opinions of students and those who care deeply about student success, we can ensure that free writing services remain accessible to all students at UBC. The petition will be open until a decision is reached, and updates will be posted as the situation progresses.